If the day of Aashurah happens to be on a Saturday, will it be allowed for us to fast? الجواب: لا حرج أن يصوم الإنسان يوم السبت مطلقاً في الفرض والنفل، والحديث الذي فيه النهي عن صوم يوم السبت حديث ضعيف مضطرب مخالف للأحاديث الصحيحة، فلا بأس أن يصوم المسلم من يوم السبت، سواءٌ كان عن فرض أو عن نفل، ولو ما صام معه غيره، والحديث الذي فيه النهي عن صوم يوم السبت إلا في الفرض حديث غير صحيح، بل هو ضعيف وشاذ مخالف للأحاديث الصحيحة. There is no harm absolutely for a person to fast Saturday whether it be an obligatory fast or a volunteer fast. And the hadeeth which therein (mentioned that there) is a prohibition in fasting on a Saturday is a weak and an inaccurate narration which is opposing the authentic narrations. Therefore, there is no harm for a Muslim to fast on Saturday whether it be an obligatory fast or a volunteer fast and even if he doesn’t fast another day with it. 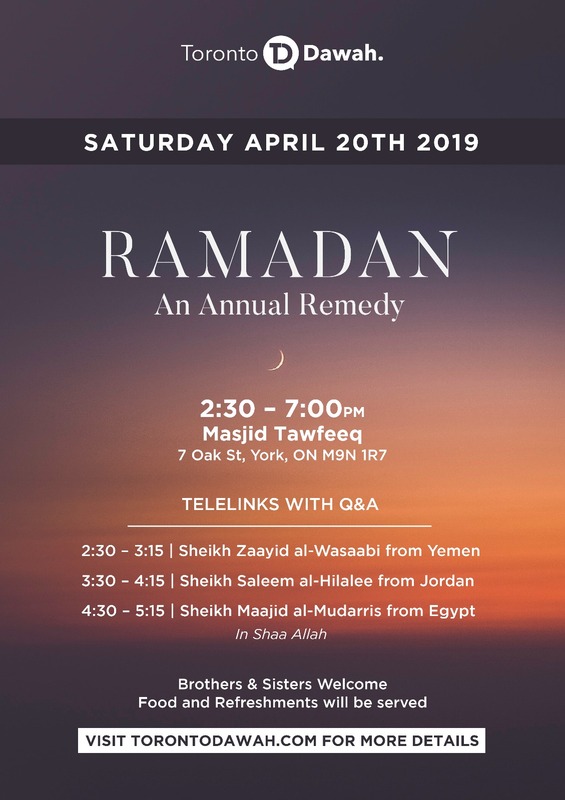 And (to mention again), the hadeeth which contains a prohibition for fasting on Saturday except if it is a obligatory fast is a hadeeth which is inauthentic, rather it is weak and in opposition to the authentic narrations. Shaikh Salih al-Fawzaan hafidhuhallah was recently asked in regards to Ashura and fasting on Friday. In regards to the month of Muharram this year, the ninth will be on a Friday and the tenth on Saturday. Is it allowed to fast Friday and Saturday? Yes, because he fasts a day with it. There is no harm. If I fast Thursday, three days? All of it is the same. Fast Thursday, Friday, Saturday. These three days are better. If he fasts one day before or after, then there is no harm.